Many claim to be one of the best online brokerages if not the best online brokerage available. From tools and service to pricing they all try to set themselves apart from the competition. Having worked in the online brokerage industry for a little more than five years, I’ve been able to interact with all the major brokers out there and learn how each of them try to help investors with their investing needs. Over that time, I’ve learned the best online brokers are those that aren’t going to waste time selling to you every time you call in but provide the tools you need while also looking to help you be more efficient with your investing. If you were to do a search for the best online brokerages, you’d get back something along the line of 7.5 million results. While there aren’t quite that many online brokers out there, there are a lot of them to wade through – each with their own area of focus. This can make choosing an online broker overwhelming to say the least. In light of that, I’m sharing a brief background on some of the more well-known online brokers in the industry. I will say that before you choose an online brokerage to do your homework to make sure they provide the services and tools you need without also charging you too much to do your investing. E*TRADE is likely the most well-known of the online brokerages I’m covering. E*TRADE has been around for a little more than 30 years and offers the full gamut of stock trading, futures/forex trading, and access to a number of foreign markets. The commission at Etrade is competitive at a flat $6.95 per trade. E*TRADE is also more along the lines of Scottrade in that they offer a wide array of investing tools, free courses, mutual funds and 24/7 customer service. If you’d like to read a more in-depth E*TRADE review you can check out my review. I’ve recently opened a small play account with Motif Investing. Motif Investing has been around for a little more than three years and has grown substantially in that time. What makes Motif Investing unique is you do not trade individual stocks, ETFs or mutual funds. Instead, you either create or choose a pre-made motif that is made up of 30 different stocks or ETFs. Each motif costs $9.95 and is a great way to add a specialized focus to your investing. You can especially see this with their pre-made motifs as they have around 150 to choose from in niches such as oil exploration, socially aware companies, wearable tech companies and more. For those investing on a limited budget Motif Investing is a great option as you can open an account with as little as $250. If you’d like to read a more in-depth Motif Investing review you can check out my review. The final online brokerage I’ve included is Ally Invest. 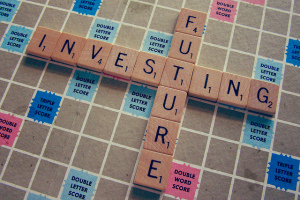 Ally Invest (formerly known as TradeKing) is a newer broker as well, though it has a full array of investment options. In 2012, Ally Invest expanded its offerings by including forex trading. If you’re interested in forex investing, but have no experience with it they do offer a free $50,000 virtual forex trading platform to use while you get your feet wet. In terms of commission, they actually match what is found at Motif Investing with a flat $4.95 commission. If you’re looking for stellar customer service (and really, who isn’t?) Ally Invest has regularly been recognized by Smart Money as having the best customer service in the industry. I hope this list of some of the best online brokerages will help if you’re considering a new place to manage your investing. Just keep in mind to do your due diligence prior to deciding on a brokerage and check for promotions to see what they’ll give you for bringing them your business. Ultimately, when choosing an online broker, make sure to find one that best fits your needs so you can hit the ground running with your investing. For our Canadian readers, if you’re looking for the best brokers in Canada, check out this list. If you’ve got any questions or need help in choosing an online broker, contact me as I’d love to help you narrow down your choices to the online brokerage that’s best for you.